Hope and generosity spreads far and wide. I spent a good part of today (March 21) at the bank, sending money contributed by hundreds of Bill Cook Foundation donors to schools and students in 4 countries. I sent small amounts of support for several young men and women in Kenya attending university. I sent funds for 300 children living in a Nairobi slum to visit the Giraffe Center, where they will for the first time see those magnificent creatures and spend a day learning about them. The largest grant was to a secondary school in the Nairobi slum of Kibera, where we are finishing a project we started several months ago—the building of a science lab and a library. Thanks to you, we already have 1,000 books for the library when it is completed. I sent a small amount of money for a group of boys bound by their love of soccer in rural Uganda. We bought uniforms and equipment for them to make a team on the condition that all the boys enrolled in school (we pay their school fees). When I was in Uganda, I watched their team lose a game, but they are winning in life since all are succeeding in school. I sent funds for three young men in Addis Ababa to study languages because they attended a vocational high school and studied travel and tourism. Between them these three Ethiopian boys speak English, French, and Chinese, preparing them to be successful in the tourism business. Finally I sent funds to an organization in Sri Lanka that builds communities by building schools that also serve as places for community events. We have already built two preschools in a remote village, and this new grant will build three more. Of course, we work not only in Africa and South Asia but also in Southeast Asia, the Balkans, and Central and South America. Please help us continue and expand this critical work by going to the Donate section of the Bill Cook Foundation website. We still have lots of work to do! Thank you for your support. A group of students at Mamma Africa in Mathare area of Nairobi. A family of 4 orphans who live with their grandparents. All three women are in university while the young man is finishing high school and wants to become a chef. We pay all their school fees plus transport. 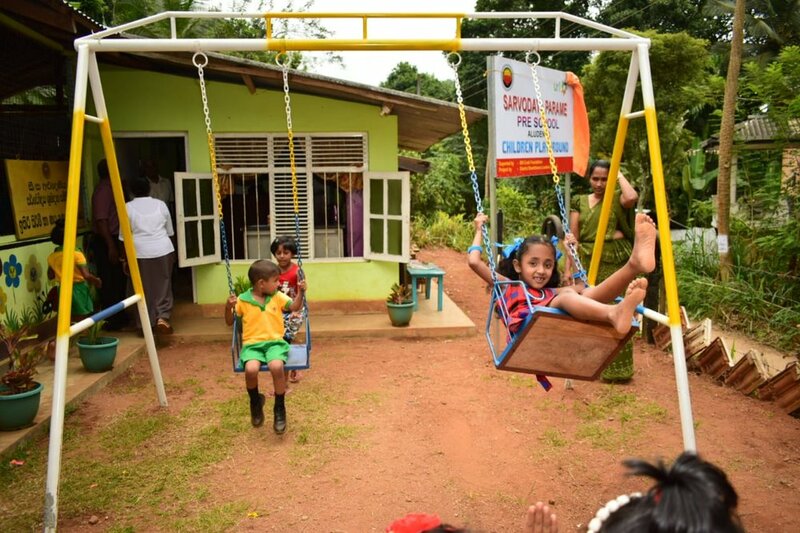 This photo was taken at the opening of one of our first two pre-schools in rural Sri Lanka. We have just committed to building three more. The three young Ethiopian men in their modes' room in Addis Ababa. The Foundation paid all their expenses for high school and their language study. When we learned about these boys, they were living on the streets of Lalibela and shining shoes in order to attend school. Older PostA Call to St. Francis: Bill Cook interview with the Catholic Courier.